H&R Block TaxCut is a financial program. TaxCut is used to create and manage tax records. 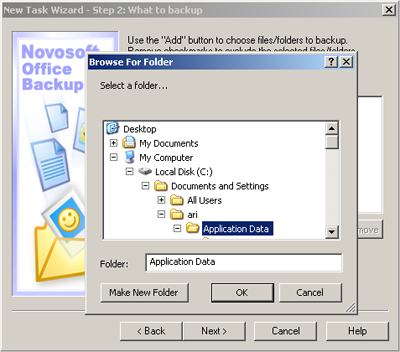 TaxCut backup will help you to keep all important files safe and secure. How to back up TaxCut data? Peachtree file extension is *.to7 (change number for tax year) and it is usually stored in My Documents folder. 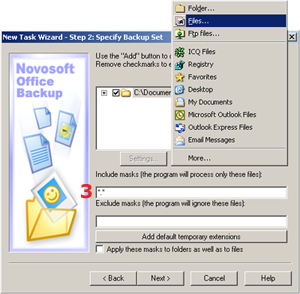 So you can easily create My Documents backup automatically with Novosoft Office Backup. 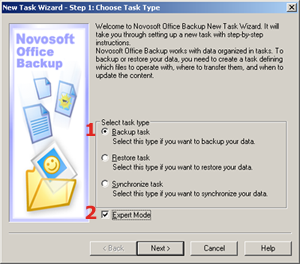 You can also specify the TaxCut file extension in Step 2 of the New Task Wizard: What to back up (Expert Mode) and Novosoft Office Backup will find and back up all files automatically.